Here is shown your Skype name. Use menu bar to navigate the program. By clicking on your name you may access your full profile information. Home - leads you to the main page. Call - allows you to make calls to phones and mobiles. New - is for setting a new group. 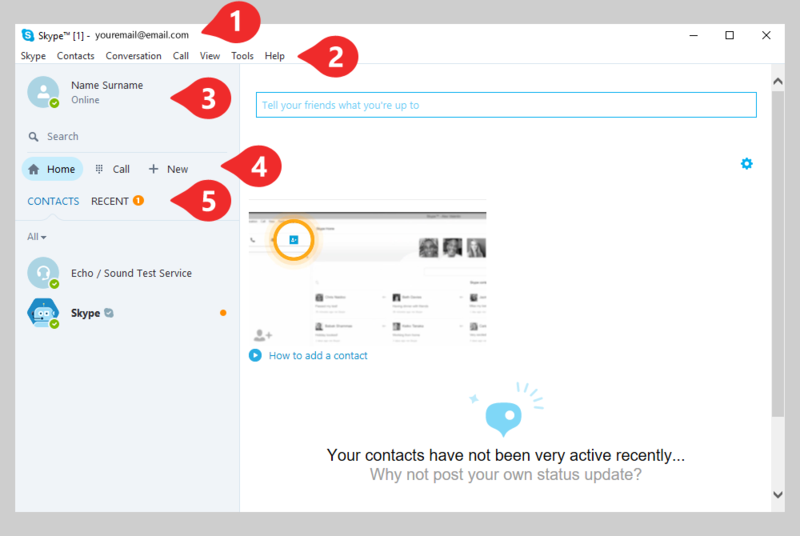 Contacts - allows you to see your contacts and their online status. Recent - shows you the most recent conversations.